Ursula Oppens Interview with Bruce Duffie . . . . . .
After earning her master's degree from the Juilliard School of Music, Ursula Oppens won the Young Concert Artists International Auditions in 1968. This win led to her New York City debut at Carnegie Hall in 1969. That same year she took first prize at the Busoni International Piano Competition. In 1971 Oppens co-founded the contemporary music ensemble Speculum Musicae. 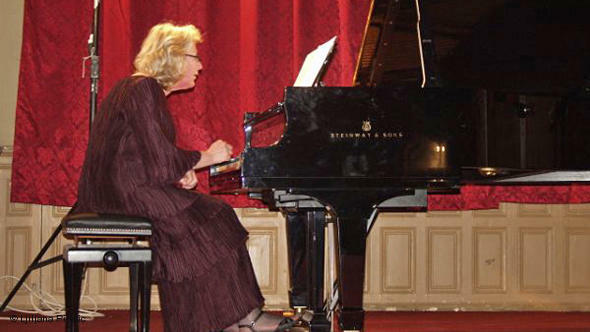 She was one of the first pianists to test the boundaries of traditional concert programming by regularly performing both classics and contemporary pieces on the same programs. One of the foremost champions of new music, several modern composers have written pieces for her, and praise her invaluable encouragement and advice in composition and illumination of their music. In 2008, Oppens became the Distinguished Professor of Music at Brooklyn College and the CUNY Graduate Center in New York City. 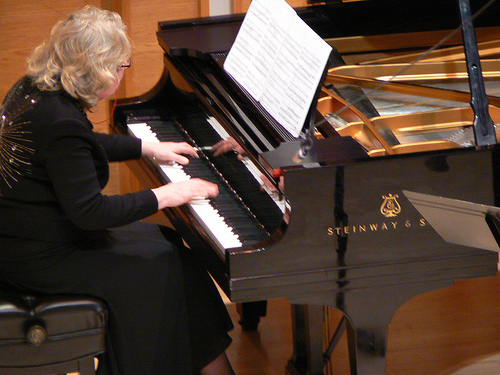 From 1994 through the end of the 2007/2008 academic year she served as John Evans Distinguished Professor of Music at Northwestern University. This conversation was held in April of 1990. She was in Chicago for another varied program which, as usual, included works written for her . . . . .
Bruce Duffie: Usually I ask how you select your repertoire from the wide range of repertoire, but you, particularly, have an expanding repertoire! So how do you decide which pieces you will learn and which pieces you will set aside? Ursula Oppens: Basically you learn what you’re dying to play! I remember the genesis of this particular program; I commissioned the Nancarrow pieces. [See my Interview with Conlon Nancarrow] That was a very exciting commission to me because I had admired — loved — his player piano music for many, many years. He had only written one three-minute tango for living pianist in ’84, but it was the first thing he had done since 1940, so I felt it was a long courtship. I got a grant and he agreed to write the pieces. He said it might take him a very, very long time to write them, and in fact they arrived, as it were, by return mail, which meant then I was behind! But I was in the fortunate position of being able to plan a whole program around them because it was so far in advance. I received them in ’88 and first played them a year later. BD: About how much playing time is involved in these works? BD: Because he is so involved with the player piano, did he specify exactly how long it should take to play? UO: No, he didn’t specify, but he gave me a tempo, and in fact before I could play it I figured out the tempo and how many measures there were, and more or less decided how long it would be. He has written many, many studies for player piano; they’re very brilliant and quite contrapuntal, and somewhat jazzy. BD: I did an interview with him, and presented a seventy-fifth birthday program for him on WNIB. It’s fascinating stuff, it really is! UO: Yeah, it’s fantastic, and this music is fantastic, too. So I had this new piece that reminded me of fireworks and spectacular things, so I thought about what I could do around it. Well, you’ve got to do more etudes, more spectacular kinds of pieces like it, and for many years as a listener I had known the Stravinsky etudes that are also to some extent polyrhythmic. They’re not as grandly polyrhythmic as Nancarrow, but they’re also polyrhythmic, so they just came to mind. They’re also very romantic and Russian sounding, so then Rachmaninoff came to mind! BD: So this is how you build your programs, little by little? UO: This one came about little by little. Actually, the Rachmaninoff etudes I hadn’t known, so I was just reading them and I was amazed, because to me they’re very different from most of the Rachmaninoff I know. They’re small pieces and they’re kind of character pieces; they’re very Russian, some of them. Anyway, so that’s how that part of the program got filled. Then I thought, well, I have lots of little pieces so I should have a great big long piece on it, and that’s the part of the program that has changed. I had been playing a Schubert sonata, which was very long, and now I’m doing the Brahms Handel Variations. I’m not sure whether that’s many more little pieces, or one great big piece! That’s what I’m trying to decide at the moment, because it has elements of both, of course. BD: If this particular concert really works well and holds together, will you then repeat it at other opportunities? UO: I would like to, because I really love the pieces! I open with a Stravinsky sonata, which is a very different aspect of Stravinsky, but it was after I made up this program that Nancarrow said Stravinsky’s one of his favorite composers! So then I was happy! BD: Another thread to hold it together? UO: It’s another thread, but counterpoint is the thread, really. In that sense, counterpoint is very much in the Brahms, too, and I think that really is the thread. BD: Is this the first time that the Nancarrow work will be played? UO: No. I played it first almost a year ago, and I’ve played it about seven or eight times. BD: Is he pleased? I assume he’s heard a tape of the performance. UO: He actually came to the premiere because it coincided with New Music America which was in New York, and he seemed very pleased. I’ve worked hard on the pieces, and they are fantastic! I think the way he writes music, if you play what he writes, it sounds good. It isn’t as if there’s a mystery. The difficulty is to try to play the rhythms correctly. BD: Is he making you a living instrument, or is he regarding you as an extended player piano? UO: I think it’s very much a living instrument! I’ve actually thought that there’s something very interesting, because his machine music does not sound mechanical to me at all. And the piano music, where you try to be very strict, has some aspect of almost the comedy of trying to be mechanical, but is also extremely human. Also, with all the complicated rhythm, it swings I think. So I feel like a happy human being playing it! BD: You’ve played it seven or eight times. Does it change at all from performance to performance? UO: The more I feel I can do to make it swing, the happier I am, which is how it changes in me, how I change. And things change in the pianos. I’m not sure that my conception of the piece is radically different; it’s more that my being able to do what I want to do varies. BD: But here we have a unique individual who writes for the piano, and yet usually he writes for a piano which will always sound exactly the same because of the roll. UO: I don’t think that’s why he writes for the roll. I always thought he wrote for the roll because it could do all these contrapuntal things and had more fingers. There weren’t pianists around in 1945 in Mexico City who said, “I love polyrhythms and want to practice them.” I don’t think the exact repetition of it is actually an integral element of it; I don’t think that’s the essential element of it in the first place. There is an extent to which things like dynamic contrast and a certain kind of seductive pedal type thing is not really part of the repertoire, you know. BD: Are you trying to seduce your audience every time? BD: What kinds of ways? UO: One of them could be with this kind of rhythmic feeling that is not easy, but not remote, either. It’s just sort of inviting, and very different from what one has heard, as opposed to the other ways of seducing with sound effects — which he really doesn’t do so much, but it’s a different type of seduction, really. BD: [With a sly nudge] Do you find ways of seducing your audience no matter what you are playing? UO: I hope so, if you mean seducing them in that you’re getting them into the frame of mind that makes you want to play the piece. In other words, somehow to experience whatever it is that you experience about the piece that excites you. So I try to seduce them in that broader sense, yeah. BD: Do you then feed off of the audience as they send vibes back to you? And then you are able to react to that? UO: You can’t really tell. It’s a mistake, I think, to worry too much about it. Let’s say there might be some place where people don’t applaud as loudly as some other place, and if you really thought about it, you’d say, “Oh, they don’t like it. Now what am I to do?” And that may be nothing; it could just be the norms of the place. So it’s best not to be concerned. One shouldn’t worry about it at all, you know! If it happens, it’s great! But it isn’t like a concert where they really do give; it isn’t like some sort of a program where people do shout and yell, so you shouldn’t try to force something that can’t be. BD: Do you adjust your playing at all because of the size of the hall — if it is a great big huge barn, or a very small, intimate hall? UO: Oh, yeah. Oh yeah, very much. UO: [Ponders a moment] Well actually, not very much. The main thing that changes is what one feels to be the resonance one has. If you’re in a large, wonderful hall, a place like Carnegie Hall, it’s very resonant and there’s a gorgeous piano there. You can do anything you want; you can play as softly as you like! I remember playing a concerto there, and people who came to the rehearsal kept saying, “You know, you can play softer.” And I just couldn’t believe it, because you can’t do that in every hall. As a soloist you usually can, but with concertos you can’t always. I guess it’s the question of what do you feel is the sound world you have, more than the size of the hall. And I think very much everyone loves playing in a place where you get a lot of sound coming back to you. Then you feel wonderful and that you can do anything! BD: I would think, though, that you’re almost in the worst place to hear balances and sound being at the keyboard. It would be better if you were out in the tenth row. UO: Well, I don’t know! When you’re a soloist, it’s not that much of a problem. When you play with orchestra, really different things can be happening in the tenth row than what you hear, especially if the winds are twenty feet behind and you can barely hear them. Someone in the twentieth row might say, “They’re drowning you out!” But as a soloist within the world of the piano itself, I think what your balance is very much what comes out because it’s all starting from one spot. BD: Do you have any problem adjusting to each different instrument? You’re plagued with having a new instrument almost every time you play. UO: There’s no difficulty adjusting to beautiful instruments! [Both laugh] Really there’s infinite difficulty adjusting! There are many different kinds of beauties, and it’s really fun, actually, especially if you can have some practice time not on the day of the concert. You can find out what a piano can do and you do change a great deal! If a piano has a very beautiful register, you will really make much more of the music that’s happening there because you just can’t resist; at least I can’t resist it! There are many different kinds of beautiful pianos. BD: Do you try to make the piano sound like you, or do you try to get the best out of each instrument? UO: I would try to go for the best of each instrument. If it’s a good piano, I love the difference, and when I have a series of good pianos, I like nothing better than playing on a different piano every time! Then you get a series of dogs, and you sort of wish something else would happen! But it is fun, how different they are. BD: Going back to the idea of seduction, is each new piano like having a series of lovers? BD: Coming back to my original question about the selection of repertoire, what is it that you look for in either an established piece or a brand new piece that will make you decide yes, I want to spend some time with the piece? UO: It basically happens the other way around. What I will feel is I’ve got to play this piece, and it’s the putting them together where the decision is. If you say, “I’ve got to play this piece,” then you say, “What goes with it?” Sometimes the original impulse is just that, and it becomes an obsession or something you really have to do. What happens now sometimes is that I played a piece twenty years ago and came to a dead end on it. Then I’ll be talking to a friend who’s a musician, and they’ll say something in a fairly offhand way about that piece, and I’ll suddenly begin thinking about it in a new way! They like some aspect of it, and then you realize you haven’t thought about it for fifteen years! That’s very exciting! It happened, actually, with the Brahms. That’s one reason I went back to it. I began thinking about it in different ways from how I had thought about it before. So that can be one thing. Another can be hearing it. With the Rachmaninoff it was quite by accident. I realized that there were the Rachmaninoff preludes and etudes, of which I knew some but I didn’t realize how little I knew of the ones I didn’t know. I was just reading through them and was originally going to do a selection. So I started the series. I started with the first one and thought this one’s really terrific! Then I got to the second one and felt I’d really have to do this one, too! And so on it went. BD: You wind up with a concert that’s ten hours long! UO: Well, yes, and then you curse yourself and say, “How could I be such a fool?” But with the Rachmaninoff, it really just happened just by reading them and not believing that there was such wonderful music by such a popular composer that I had never heard! So it really happens all kinds of ways. It also has very much to do with ideas you have when you think you’re not thinking about it at all. BD: You mentioned that it’s different playing a concerto and playing solo. How do you divide your career between solo appearances and chamber appearances and concerto appearances? UO: This year it’s more concertos than anything. BD: Is that just happenstance? BD: Do most of them abide by that rule? UO: They do, but it’s more interesting if there’s give and take, so when a concerto is a chamber music performance, that’s really exciting! Solo is wonderful, because it’s the repertoire you choose to do and it’s the ideas you choose to do. It’s very hard just because quantitative you are playing more. That’s all. But then again, you get a chance to try to do what you can do. I can’t imagine giving up any of them. For me, playing really has these three components and they are absolutely tied together. If you stop being able to play with other people, then eventually I think I would just run into dead ends, musically. Sometimes the simplest rules of listening are ones you forget when you play by yourself all the time. BD: I get the feeling that if every day was thirty hours and every week was eight days, it still wouldn’t be enough time for you to play! UO: [Laughs] Boy, are you right! Have you gotten that one right! BD: You’ve made some recordings. Do you play the same in the recording studio as you do in the concert hall? BD: ...and hope that it’s finished? UO: Yeah. But I feel that in the end the result is the same, and I have been happy with my recordings. You have to have a wonderful engineer or producer, someone who’s really empathetic. I’ve worked some with Judy Sherman, and she’s really great because she can both hear every detail and every wrong note, and also know whether you’re inspired or not and cheer you on. She has the small and the big picture, so working with her is very easy! BD: That draws the best out of you? UO: It draws the best out of me. I feel that has a lot to do with it. When I first started, I was making the record of Beethoven, and the producer criticized my first phrase! I didn’t know enough to say, “I’ve thought about this a long time,” so I tried to change it in the session, and that turned out to be disastrous. Now I sort of feel like I do know the sound I want before I go in to record. So in that sense, it’s the same as a concert. BD: The producer should have at least let you establish your tone and your ideas. UO: Well, that can happen. It was an accident, and had I been more confident, it wouldn’t have bothered me, either! BD: Once the record is released and you’re pleased with it, do you then find that you’re competing against that recording when you play that work in public? UO: I haven’t been playing my recorded repertoire specifically. It isn’t like a rock group that might make a record and tour with it. I’m sure if I did that more, I would change my interpretations more because they do change over time. And it depends on what kind of piece it is. A piece like the Carter Night Fantasies is very much a performer’s piece about expression. 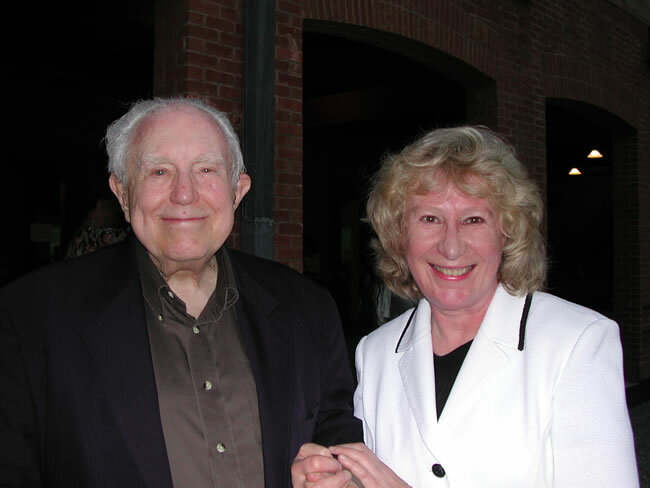 [See my Interview with Elliott Carter.] So that one changes every time you play it! I couldn’t play three performances the same. In fact, I’ve done it ten days in a row and it was different every time because it was that kind of a piece. BD: Is one better than the other, or are they all just different? UO: They’re just different. There are different elements in the piece that somehow become more focused. It could be a different piano. If a piano has a particular register that’s very interesting or very beautiful, the music in that register sounds better than it usually does and becomes somehow a more important part of the piece. So if that music is more exciting, then you adjust the others so it will be in some sensible proportion! So it just happens. BD: You play quite a bit of music which is non-standard; it’s newer, it’s more difficult. Do you find that you’re getting through to the audiences who either have come for a new piece, or perhaps have come wishing it was all Beethoven and Haydn and Scarlatti? UO: [Thinks a moment] I’m not sure. You try to get through to everyone. I don’t like to think of classical music as an area where people who are adventurous in the rest of their life look for something safe and predictable. I don’t think that’s what the music ever was in the first place. So in that sense, no matter how much I love Beethoven and how much my audience member loves Beethoven, I don’t want Beethoven to be seen as that which is comfortable after a hard day’s work. That that isn’t the Beethoven I love. I think one function of having some unfamiliar music in a program is to just wake up the ears, make someone listen slightly differently than they listen to something they know already. BD: Well, we’ve kind of danced around it a little bit, so let me ask the big philosophical question — what is the purpose of music? UO: Whoo! I wasn’t expecting that! I think music is an expression of our soul, and I think it might be some of the proof that we have a soul, or the definition of it. It’s the meaning of ourselves — or it’s part of it. We have objective meanings and meanings of relationships within society that are very, very important. But then we have the capacity to feel and to enjoy and to laugh, and I think that’s the soul. I think that is it. BD: So you’re baring your soul each night out on the stage? UO: Yes, for better or worse. I mean that for sure! One is naked. You’re trying, and sometimes you do well, sometimes you do less well, but I think what makes it is the concentration of the performer that actually gets through to the audience; the fact of how unified you are and how much you’re trying to have everything you are somehow be focused in this one form of making music. The clearer your focus is, or the more focused it is, the more something will communicate to a listener. BD: You’re a woman pianist and you play a lot of new music. Do you try especially to play new music by women composers? UO: But it’s a wonderful time because there really are a lot of interesting women now who we are all getting to hear. 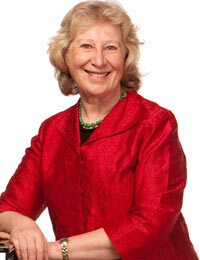 UO: I’ve been playing a piano concerto by Joan Tower that she wrote for someone else. It’s a very nice piece but it’s slightly small-scale. I know lots of her work, and in this case I’m just dying to be able to commission another piece because she’s a pianist and I’m a pianist and we’re friends. I think it would be a different piece. Very often when someone’s written a piano concerto, you feel that this is THE piano concerto that they’ve written, and the only one that they’re going to write for a ten year period surrounding it. But in her case, I do have a very strong desire! So there’s a specific one you hit on. BD: With all of this new music that you play, do you have any advice for someone who wants to write music for piano today? UO: Write for somebody you know, and find out what they would like. I don’t mean what they would like aesthetically, but for instance, if you know a pianist who really would like to play a piece on their concert, find out in this case what the rest of the program is, or what they have in mind. Is it a piece that would open the concert? Is it the sonata that would be before intermission? I’ve had wonderful experience working with composers. There used to be a lot of fear and a lot of shyness, thinking what if I don’t like his music, or what if she doesn’t like my playing. But that would be the main thing. One thing that’s really interesting is that for a while, let’s say between 1950 and 1976 or so, there was not all that much piano music written in this country. You would find many composers writing fantastic string quartets and brilliant pieces for mixed ensemble, and nothing for piano, or something that was not nearly up to the rest! Then starting in ’76, when there were all the commissions to celebrate the Bicentennial, there seems to have been a real revival of music for the piano. Now almost every composer I can think of has written lots of wonderful stuff! And it’s very good because we also used to be afraid — what if the piano’s going to become obsolete? It was just the repertoire wasn’t growing! Now that it’s growing, the piano seems absolutely not obsolete at all. BD: Do you have some advice for young pianists coming along? BD: But you’re not encouraging people not to play Beethoven and Mozart? UO: Oh, no, no, no, no! I’m just saying that if you’re thinking of playing a new piece, if you want someone to write a piece for you, think of the composers who are living in the city you’re living, where you could work with them, for instance. That’s what I mean. Don’t necessarily think it must be either Elliott Carter or John Corigliano, or nobody. [See my Interviews with John Corigliano.] Think of someone whose work you admire. For one thing, if you want to play a new piece, go to the new music concerts that everyone says don’t attract a wide audience. They are the most wonderful resource for people trying to get to know the music of different composers! That is the best way. Of course play Beethoven; I just meant in new music, really try to be adventurous all the way, but also try to take advantage of being able to work with a composer. Work together and find out. Even listen to what the composer says about something else; it can give you insight. BD: Have you done any writing at all, any composing? UO: It takes me half a day to write a four-note ornament for Mozart, which I love doing! I’m just proud as a peacock if I’ve come up with a good ornament, and I really love it, but I don’t think I’m very good. BD: With all of the new music coming at you, I just wondered if maybe you had a couple of ideas that you just wanted to get down? UO: None. None. Because it’s the area where you have to do it, I have become very interested in the question of ornamenting and expanding lines, and seeing what I can learn about it. I’ve also done some improvisation within pieces, but I haven’t done an improvisation in Mozart, for instance. There I really work out what I do, and the larger cadenzas I play someone else’s, but it’s worked out. I had a wonderful lesson with Anthony Davis once. He had written a piece for me, which at one point had a fermata. I said, “What am I to do here?” I told him I was interested, but then I got to it and I hadn’t the slightest idea what to do! So we went over the rest of the piece and he said, “You see this motif here? You could do this with it; you can expand it this way. You can go backwards, you can go upside down. You can make sequences.” And I thought, “That’s what Mozart does in the development sections!” Then I began realizing. So I’ve gotten to the point that if someone else provides some thematic material, I am interested in manipulating it. I don’t have the courage yet to do it all! BD: Then there is this continuity between an eighteenth century Austrian composer and a twentieth century American composer! BD: There’s this thread that connects everyone! UO: There is an absolute thread. But it’s not even a surprising thread! The thread of improvisation was just broken for a moment, really, in a little tiny part of the mid-twentieth century. Here is an anecdote with a Chicago connection. My mother is a woman who grew up in Hungary and Austria. Some years ago I was playing Easley Blackwood’s Piano Concerto,[See my Interview with Easley Blackwood] and as I was practicing, she said, “That reminds me a little bit of the improvisations we were doing in Webern’s class.” I never found out more, really, but when did this thread get broken? It must have gotten broken ten minutes ago, or something. Why don’t we know that? BD: I can’t imagine the thread is broken. Perhaps we’re just ignoring the thread. UO: We just ignored it! It just got frayed for a second, or we looked in the other direction. I was rebelling against having musician parents, and I didn’t really study music very much, which I regret greatly now. But even at this time the music education does not make every performer do composition. Most did until very recently, and at the Paris Conservatory, you still do! If you look at the musicians of a slightly older generation, they all composed. Most of the performers decided that they didn’t compose well enough to make a career of it, but they all composed! It’s just our generation that missed out on it. BD: Do you encourage your students to compose at least a bit? UO: I don’t have students, but I encourage everyone I meet to do that. BD: Where is music going these days? UO: In all kinds of directions. UO: No, no. Actually, that’s one of the other things that’s really wonderful about it — there’s really wonderful music being written in many different styles, and I think people are beginning to be able to hear that. There was a time when you either believed in one style or another, and I think by and large that has changed. In New York it used to be called uptown versus downtown music, and then at some panel discussion John Cage mentioned that maybe it should be considered a matter of zip codes, at which point the subject was clearly defined and came to an end! [See my Interview with John Cage.] There’s music I don’t like at all that many other people do like, but I, probably more than others, like music in different styles. But I think this is expanding. For instance, for some people where minimalism might be hard to take, someone like Louis Andriessen, who’s extremely witty and funny but still uses it, becomes someone they can appreciate, even though there will be that element of minimalism. So, I think it’s a really wonderful period! BD: Your new record has music of both Carter and Adams, and I couldn’t think of two more divergent styles. UO: That was the point I was making, really. Not only the point, but I do feel strongly that this is a time where there are many styles that can coexist. It’s funny, because coexistence means it’s just a period that’s fertile for many kinds of music. BD: I’m glad you’ve come to Chicago. I have looked forward to it, and thank you so much for speaking with me. UO: Oh, that’s very nice. It’s been wonderful talking to you, really. I like your questions! Radio is where it’s happening in America now. Actually I think one of the reasons that new music and the diversity is flourishing is because of radio, which has exactly the freedoms that the large record companies don’t have. The music does get disseminated, and the people who are interested in that kind of variety are themselves drawn to radio. BD: One last question — is playing piano fun? UO: For me it is. Actually, it’s funny because when I practice more than a certain amount, it’s great fun, but when I practice less than a certain amount, I get worse and it becomes frustrating. But I wouldn’t do it if it weren’t fun. It really is fun! What I mean about practicing a certain amount is that when I am practicing a certain amount — basically I average five hours a day — things really get better every day and that is fun. It’s better than it was yesterday, and you can do a little more than you could! That’s a great joy, and it’s a physical joy because you can do it and it sounds good. Even if you can get something from half-tempo up to fifty-three percent of tempo, you can hear that difference and you can be pleased by it. So it is fun, yeah. A co-founder of Speculum Musicae, Ms. Oppens has an extensive recording catalogue and has received three Grammy nominations: for her recent Cedille release, “Oppens plays Carter”, named on “Best of 2008” lists in The New York Times, the New Yorker magazine and the Chicago Tribune; for her Vanguard recording of Frederic Rzewski’s “The People United Will Never Be Defeated”; and for “American Piano Music of Our Time,” a classic compilation of piano works by 20th century American composers for the Music & Arts label. Ursula Oppens studied piano with her mother, the late Edith Oppens, as well as with Leonard Shure and Guido Agosti. She received her master’s degree at The Juilliard School, where she studied with Felix Galimir and Rosina Lhévinne. After 14 years as the John Evans Distinguished Professor of Music at Northwestern University, Ms. Oppens joined the faculty of Brooklyn College Conservatory of Music and CUNY Graduate Center as Distinguished Professor in fall 2008. This interview was recorded in Chicago on April 29, 1990. Portions (along with recordings) were used on WNIB in 1994 and 1999. This transcription was made in 2009 and posted on this website early in 2010.